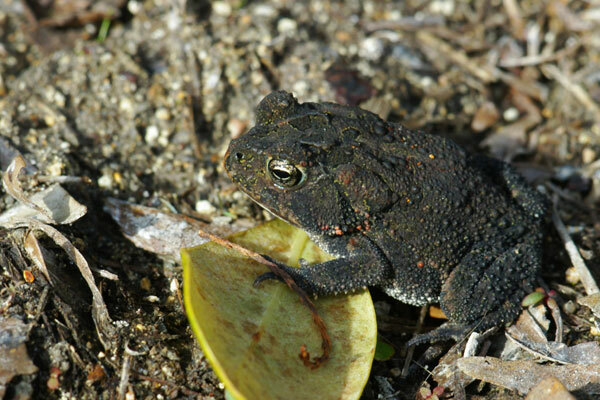 Just like dogs and cats, there's many different species of toads. They're more or less referred to as species and not breeds but the concept stands. I've frequently been asked what kind of toad Yael is, and according to the herper I got her from she is a Southern Toad or bufo terrestris. 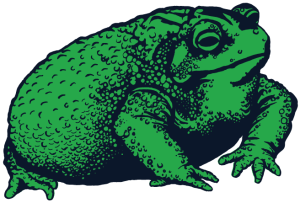 But she doesn't look like most Southern Toads, she's a lot bigger, darker, and doesn't have the prominent parotenoid glands behind her eyes. She's got the ridges, but they don't end in little knobs. 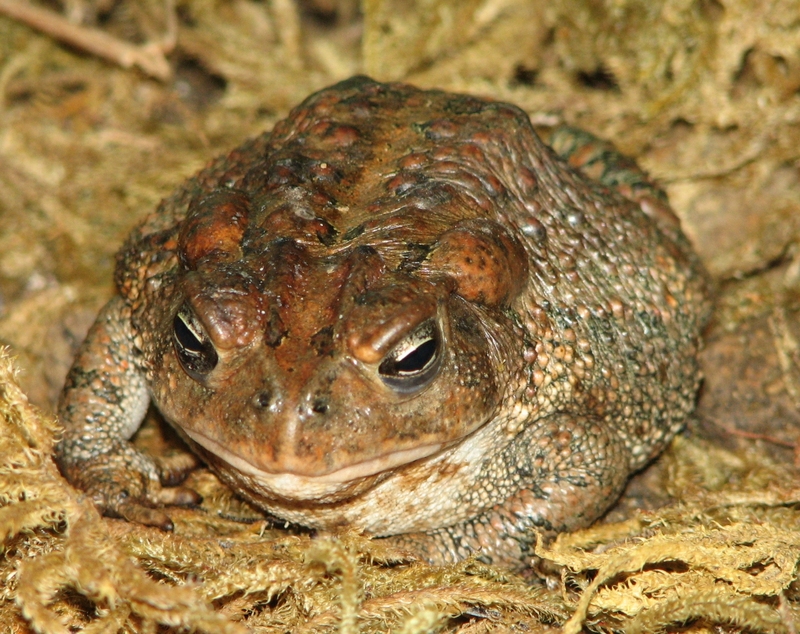 There's so many different toad breeds worldwide, but thinking about the kind of toads you're likely to find on the East Coast there's the bufo Americanus or American Toad, the kind I found all the time when I was a kid. Yael's way bigger than those guys, they're usually 2-3" long and easily fit in your palm. They're usually a very bright mocha kind of brown with very prominent parotenoid glands, but some are more of a sandy color with very spotty warts. 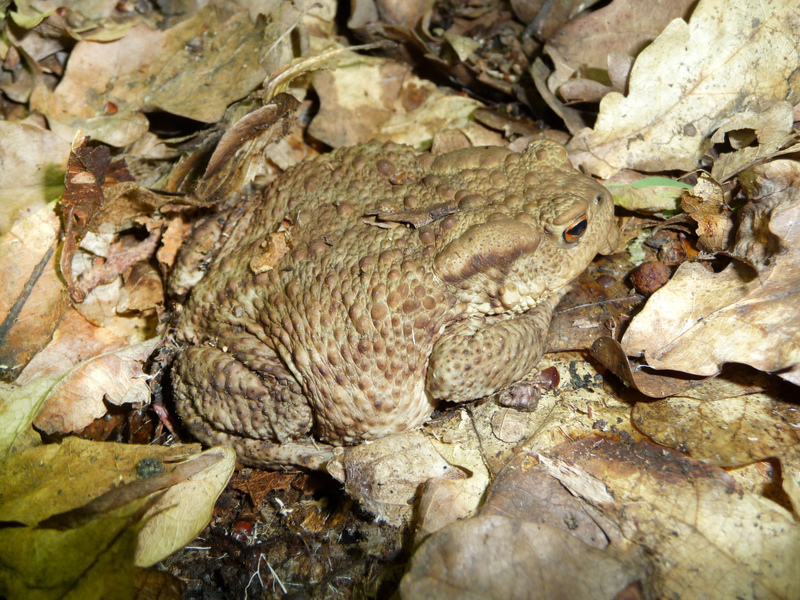 The Common European Toad, or bufo bufo, can't be found in the US but has interesting variants in its wart patterns and skin color. 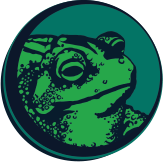 Most of them resemble wider and flatter versions of the American Toad with sandier coloring, while others are colored more like Yael. They're a little bigger than American Toads, about 4" long. For comparison to Yael, she's about 6" long and weighs half a pound. 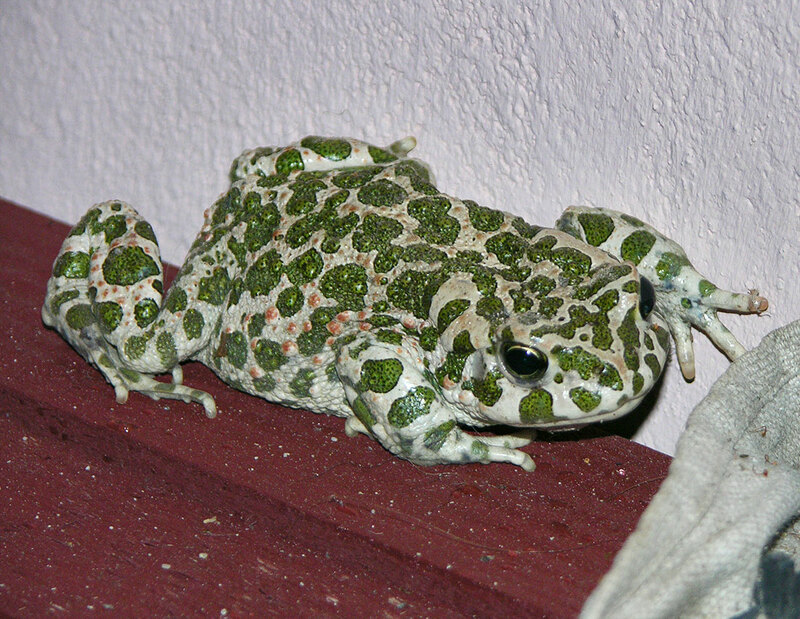 Check out this beautiful toad, the bufo viridis or European Green Toad! These guys are either stark white or have a peaches and cream complexion with leopard-like green dots and a mix of brown and green warts. They're easily mistaken for frogs because their skin appears less dry than its wartier and more monochrome counterparts, and can found along the Iberian peninsula and in scattered pockets of Eastern Europe. They're a little less squat with longer bodies than American and Southern Toads. The exquisite orange toad set as the preview image is a sadly extinct species once found in Costa Rica, the Golden Toad or bufo periglenes. These guys were little, about 2" long and easily mistaken for tree frogs. 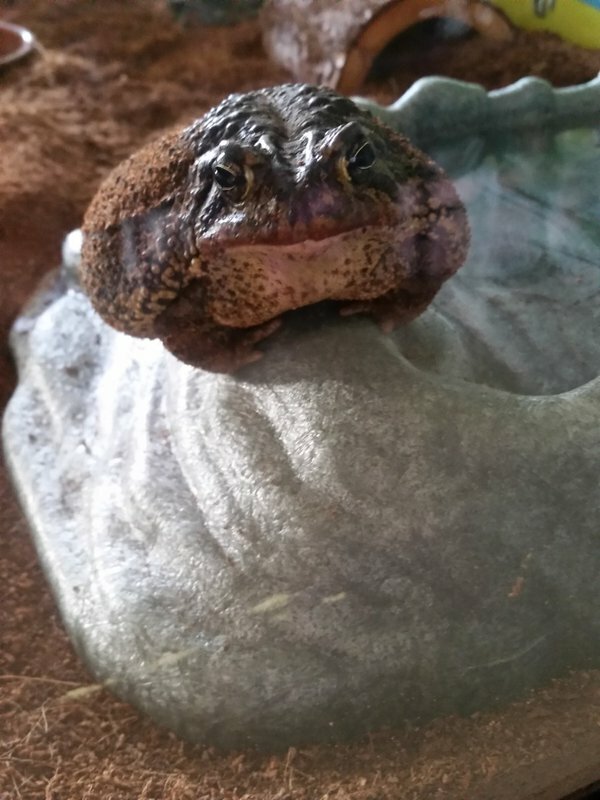 There's so many toad breeds around the world that it'd be impossible to get into all of them in a single post! But trust, I'll post about more of them. I have a reputation to uphold as a crazy toad lady after all.